54 Customers Have Purchased This Item! This high-quality, stainless steel AM1 Muzzle Brake has a flat black finish, and fits AR-9 platform rifles, pistols, and variants in 9mm caliber with a 1/2-28 TPI threaded barrel. 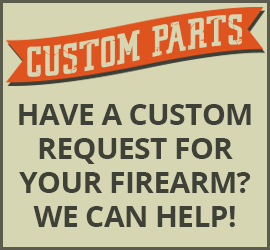 Reduces recoil and minimizes barrel rise! 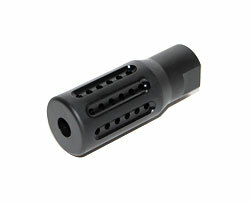 The Tacticool22 AM1 Muzzle Brake is a perfect fit for AR-9 platform rifles, pistols, and variants in 9mm caliber. A total of 25 ports on three sides allow gas to escape quickly, while the bottom is non-ported. 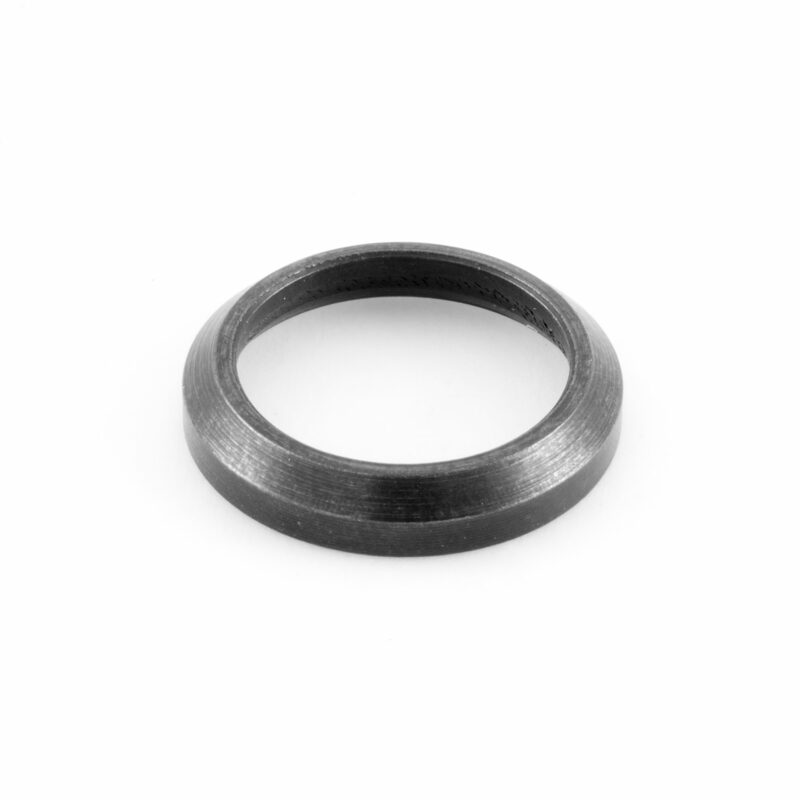 This clean, simple design keeps muzzle rise to a minimum and reduces recoil, giving you faster follow-up shots. The diverted gases also keep dirt and dust from blowing into your field of view when lying prone. 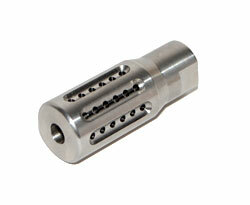 Made from quality stainless steel, this muzzle brake has a flat black finish. Length: 2 1/4 inches long. Diameter: .865 (7/8) inches tapering down to .725 (23/32) inches. Flat black with a “parkerized” type finish.